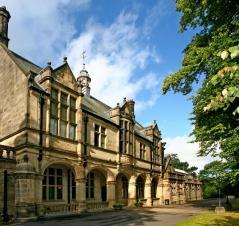 The Whitworth Centre is a beautiful grade 2 listed building situated in Darley Dale within the Derbyshire Dales. The Sir Joseph Whitworth Centre is a hub of activity in the middle of the Derbyshire Dales. This beautiful Victorian building was left to the people of Darley Dale by the late Lady Louisa Whitworth for recreational and educational purposes. Today it is used for many clubs, group's, classes and educational courses and is enjoyed by not only the Darley Dale community but by many surroundings villages and towns. We have a variety of rooms available for hire for anything from parties, weddings and any clubs or classes you may wish to organise. We have a dedicated office team who will be on hand to help organise your events and conferences and we have the facilities to offer a full refreshments service. If you are looking to hold your Wedding Day here we have our experienced wedding planners on hand to help you with all your planning from the moment you book through to a full on the day coordination. We are positive we can provide the perfect venue and service whatever your event may be.